I am thrilled with the Floating Blue cups. I did a set of five, and though I can see imperfections in each one, as a set they turned out great. Then there is this set of Weathered Bronze cups, all of which broke during firing. 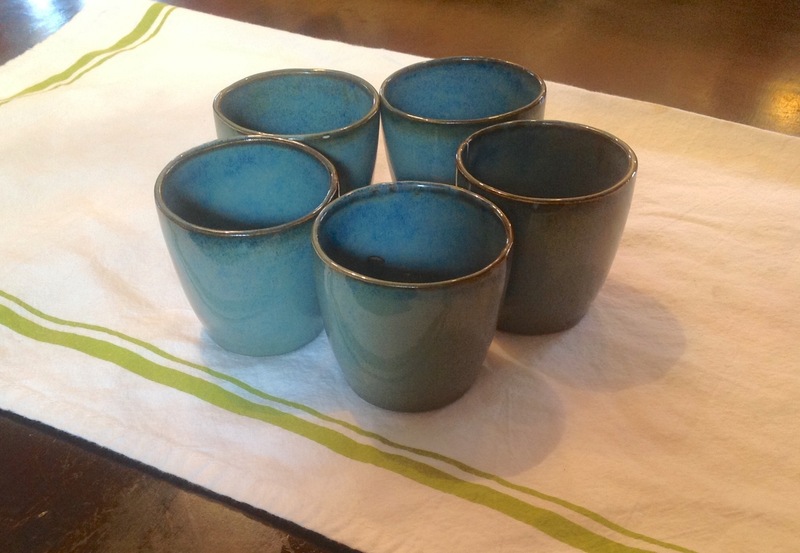 It seems that the glaze shrank much more than the clay in the cups, and caused each cup to crack. But I still have hope. There is a process called kintsugi that involves repairing ceramics with laquer and gold. 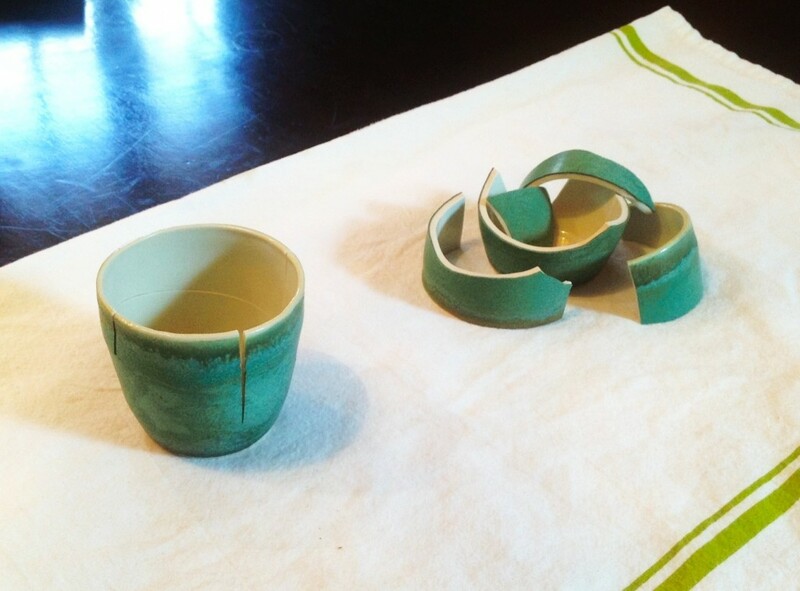 I’m going to order some supplies today and see if I can repair these cups! An example of Kintsugi / Kintsukuroi. I hope mine turn out as well as this. The Floating blue is a beautiful glaze, I loved the bamboo as well. Are these done in oxidation or reduction mode? 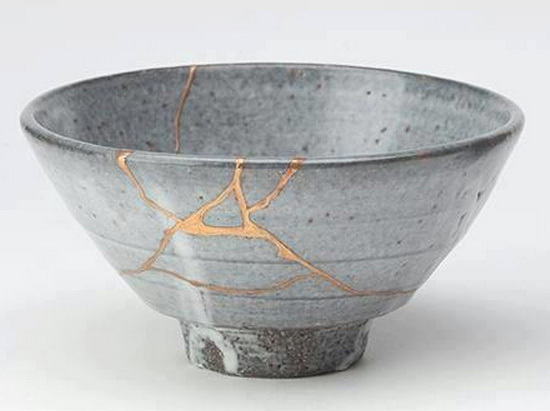 Japanese pottery is so gorgeous, I wonder if Kintsugi is made on a wheel or coil. Thanks! The Floating Blue is reduction, as is Weathered Bronze. The rest is oxidation. Have you done pottery?